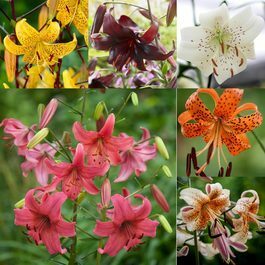 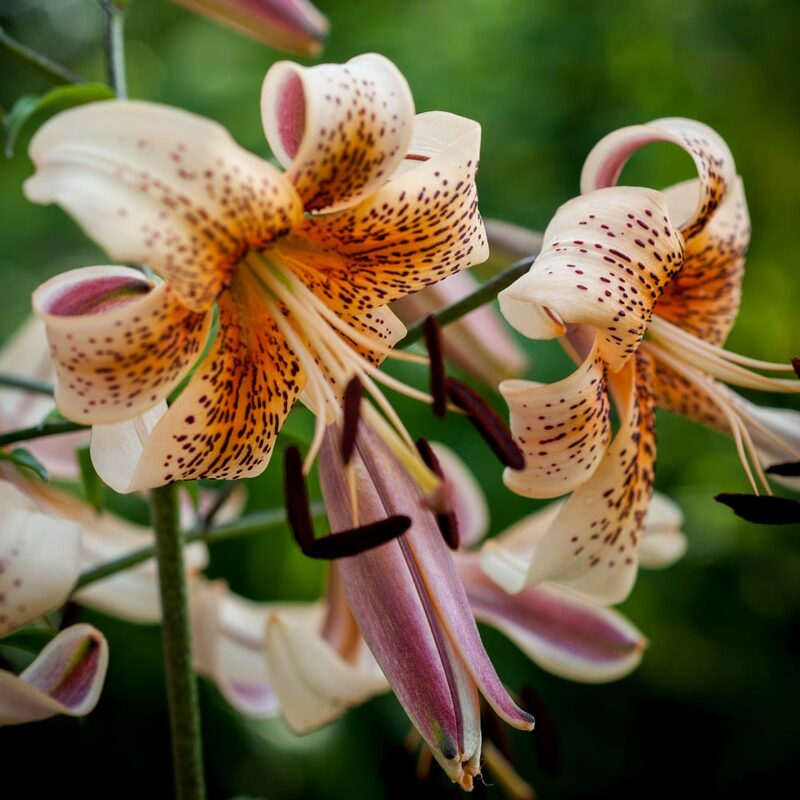 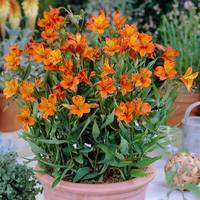 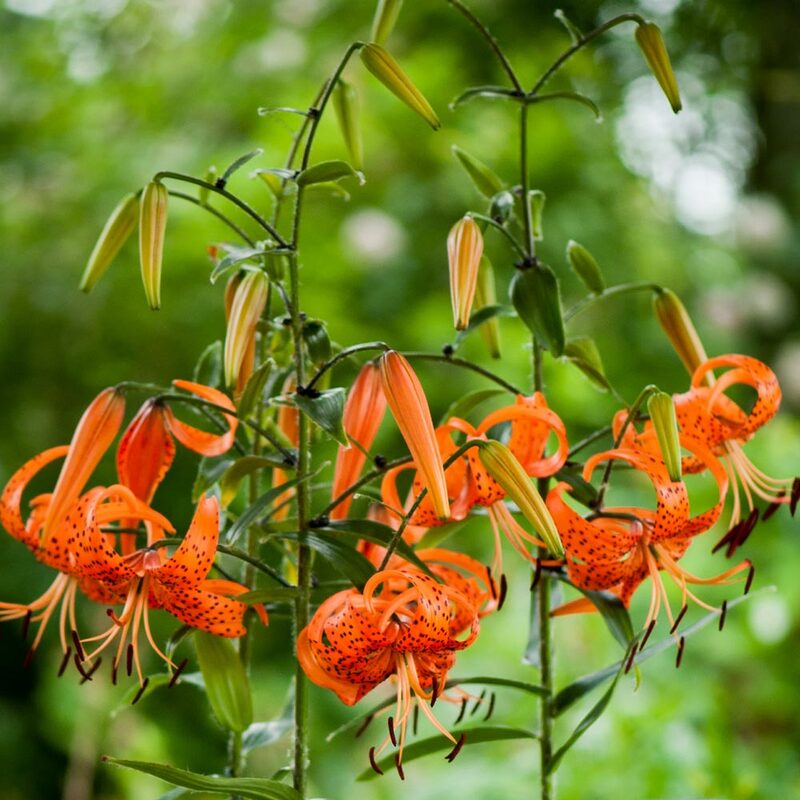 Tiger Lilies make a real statement of intent from late July throught to September with each flower smothered in small colourful spots. 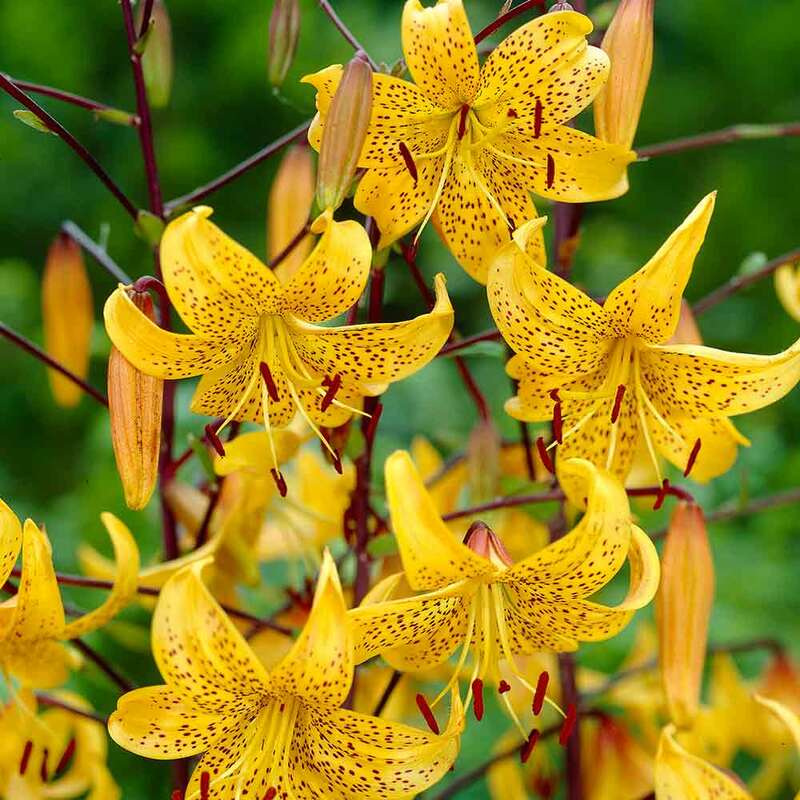 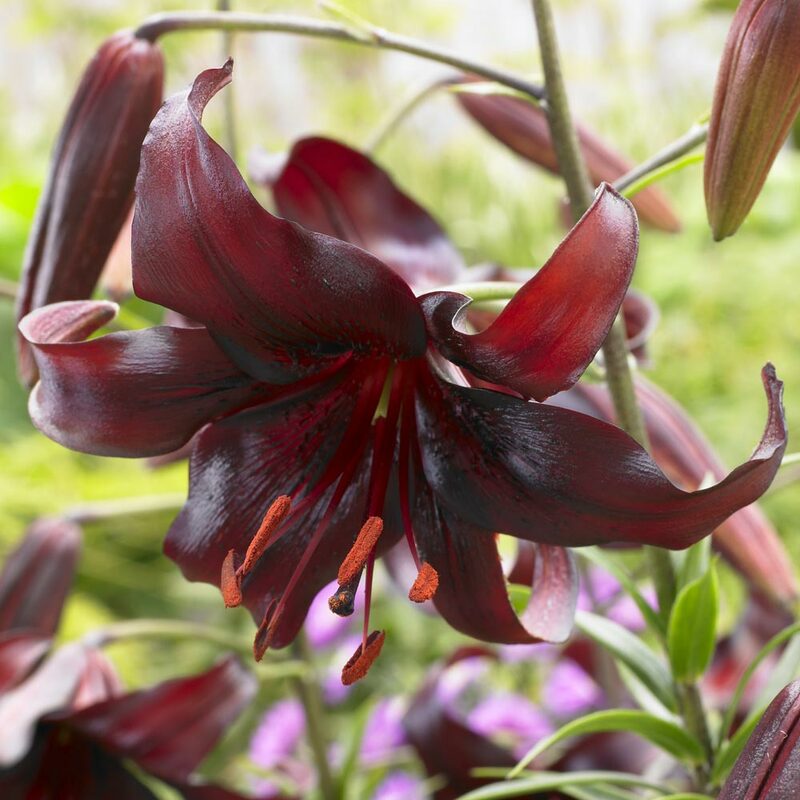 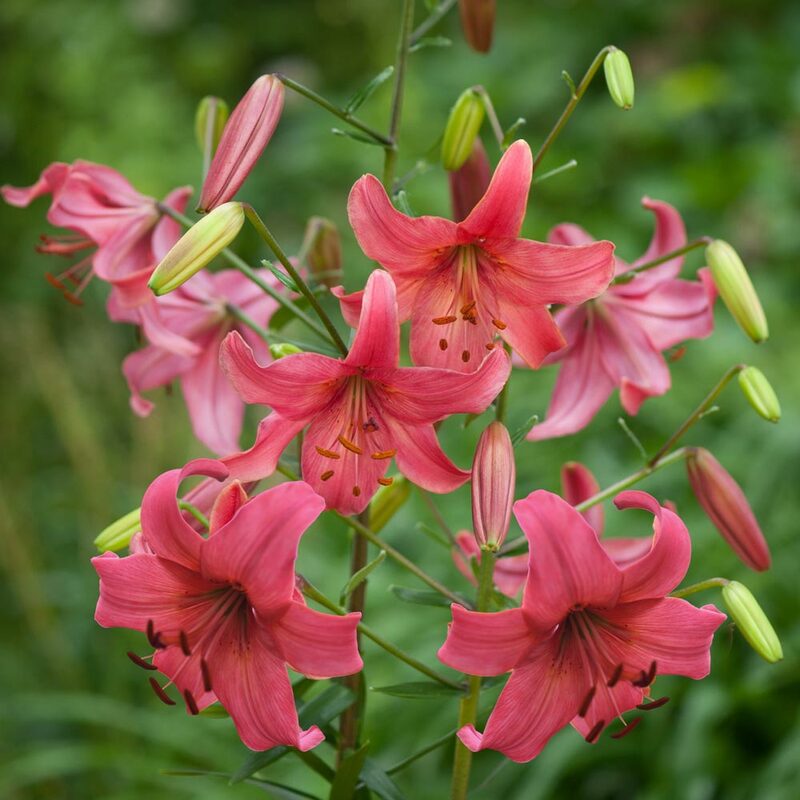 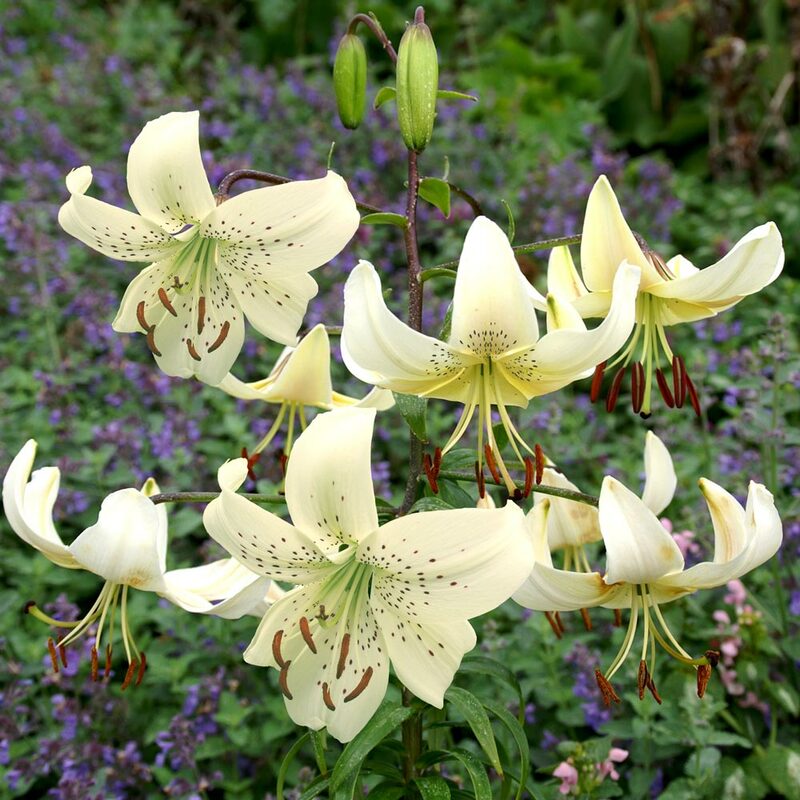 Growing to 100-120cm tall they are perfect for the border where they will act as a real impact summer plant, suitable for gardens of any size. 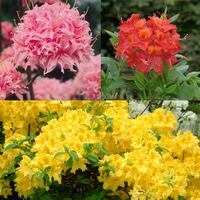 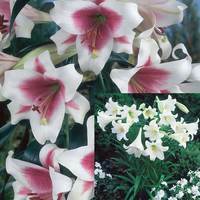 Supplied as top quality 14/16cm bulbs. In this premium collection you will recieve three each of Leichtlinii (yellow), Night Flyer (red/violet), Pink Flight (candy pink), White Twinkle (white), Tigrinium splendens (fiery orange) and Tiger Babies (apricot/orange).